Effective feedback lies at the heart of the learning process. 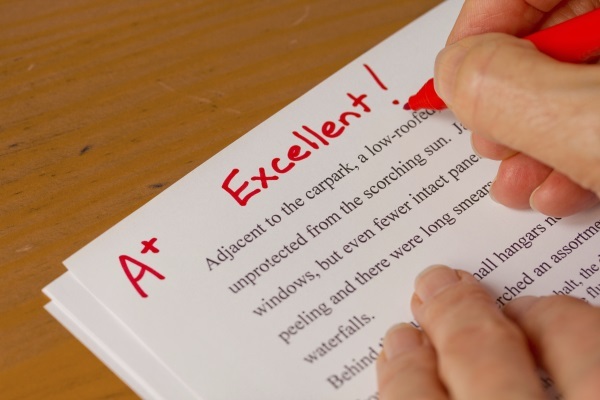 John Dabell explains why written feedback should be no exception. Marking has been demonised. It has been hijacked by the marking martyrs who rage against the machine. They hate marking and pour scorn on it at every available opportunity. They’ve recruited hundreds of acolytes along the way, condemning marking as a beast that needs taming and in some cases, slaying. Or at least, that’s one way of looking at it. It’s certainly detrimental to a teacher’s wellbeing to mark pile after pile of books, worksheets and projects without aim. But when moderated by astute guidance and sensible expectations, marking is less of a burden than some would have you believe. The DfE’s Workload Review recommends a ‘meaningful, manageable and motivating’ approach to marking, which is by no means impossible. It’s important not to lose sight of our true intention when we mark a piece of work: to consolidate and further that child’s learning. To this end, there is no reason to ban something that remains so intrinsic to teaching and learning. ‘Triple marking’ is a useful example. The technique has drawn the ire of many teachers for the amount of back-and-forth it involves, and many have questioned the effectiveness of the technique in improving learning. However, a 2016 report from the Education Endowment Foundation, ‘A marked improvement?’ noted that ‘no high-quality studies appear to have evaluated the impact of triple impact marking’, and that it would be tenuous to reach conclusions about its benefits with such scant evidence. The ‘no marking’ movement professes the futility of marking, and encourages total abnegation. Despite the allure of anarchism, one might argue that this is the easy way out. Claiming to have the best interests of teachers and pupils at heart, these ‘no markers’ would willingly strip teaching of its professionalism and abdicate most of the responsibility to pupils themselves. Don’t get me wrong, there is some merit to having pupils mark their own work (and that of their peers). But there’s also a danger that this becomes ‘marking on the cheap’ disguised as metacognition, independence and resilience. Some argue that schools don’t need a marking policy, because having one leaves the door wide open to criticism. And when Ofsted get their hands on it they will hold the school accountable – especially if teachers have gone off-piste in their approaches. Fair enough. Ofsted do not make judgments on marking other than whether or not it is aligned with the school’s assessment policy. There is no reason for this assessment policy, feedback policy or whatever you decide to call it to be complicated. But schools do need a marking policy, no matter the perceived implications for teachers’ workload. The absence of one can only lead to a free-for-all in which neither teachers nor supply teachers know what is expected of them. On the contrary, a marking policy is one of the most important policies a school writes in the context of the broader wellbeing and workload and debate. What you write in that policy matters. Even if you offer soft guidance on not having to ‘deep mark’ every single piece of work, cutting back on meaningless exchanges and prioritising wellbeing whenever possible, it will keep your teachers orientated. It doesn’t have to be a long, prescriptive document but it must have substance. Meticulous marking used to be the hallmark of a conscientious teacher. Pupils need to receive written feedback if they are to reflect and act on comments and recommendations. It helps them take ownership of their work and engage in the learning process. For the teacher it isn’t an occupational hazard, as the workload warriors would claim, but a vital opportunity to interact with and guide the pupil. Many proponents of verbal feedback (and no marking) have seemingly overestimated how reliable our memories are, and what pupils should be expected to remember. Of course, your written feedback has to be up to scratch in the first place. The most effective feedback will help pupils think about what they are doing well, identify what needs to be done to improve and understand how to improve. But why is this the case? Is it because the quality of comments is poor, amounting to poor missives such as ‘Well done’ or ‘Watch your spelling’? We ought to be asking why students do so little with the feedback they receive, not why they should receive it in the first place. In some cases, written feedback is not sufficiently precise about future learning. If it does not provide the pupil with a clear path forward, it is arguably redundant. The onus is on teachers to provide feedback that is clear, tangible and encouraging. Written feedback does have a place, and serves a legitimate purpose when performed well – to abandon it would be professionally negligent. If you want to make your mark then mark with a mission and make it a friend not a foe. Tuttle, H. G. (2009). Formative assessment: Responding to your students. Larchmont, NY: Eye on Education, Inc. Effective marking: what do we really know?